1. Its name literally means “field of flowers” as it used to be a meadow until the 15th century. Only in 1456 Pope Callisto III decided to pave the square to re-valuate the area. 2. Legend tells that the square takes its name from Flora (which comes from the Italian “fiore” meaning “flower”) who was Pompeo’s lover, a soldier and politician of the Ancient Rome. 3. “Campo de’ fiori” is also the title of a very renowned Italian comedy movie made in 1943 and set in the market. It’s the love story between Peppino the fish seller and Elide, who owns the stand next to his and sell flowers. 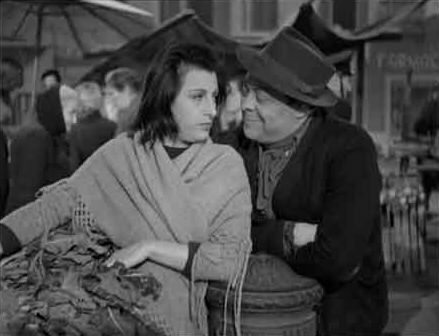 The film stars Aldo Fabrizi and Anna Magnani, two of the best actors that Italy has ever seen. 4. Campo de’ Fiori is not only about happy memories. It used to be the execution square. The statue of the monk in the middle was erected in 1889 in memory of Giordano Bruno, a monk who was burnt alive in 1600. He was a philosopher, cosmological theorist and mathematic who was tried and sentenced to death by the Roman Inquisition for heresy. The statue is now a symbol of freedom of thought. 5. 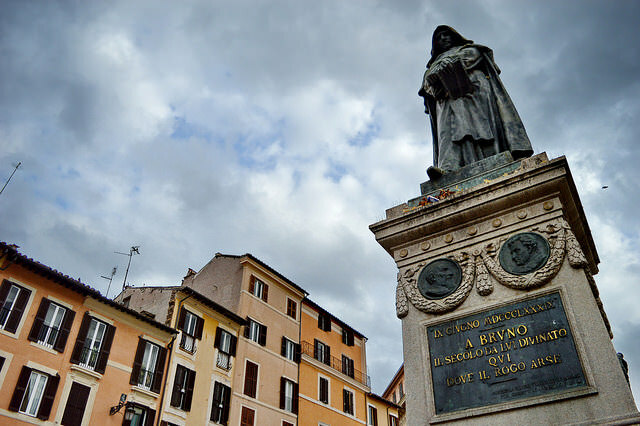 It is said that university students in Rome should not look straight into the eyes of Giordano Bruno’s statue before the graduation day, otherwise they will never graduate! 6. Although it seems ancient, the fountain in the square was placed there only in 1924. Previously there used to be a bigger one, which was moved to another square, Piazza della Chiesa Nuova, in order to gain more space for the market. Still, can you imagine how many sellers had their fruit washed in that fountain? 7. 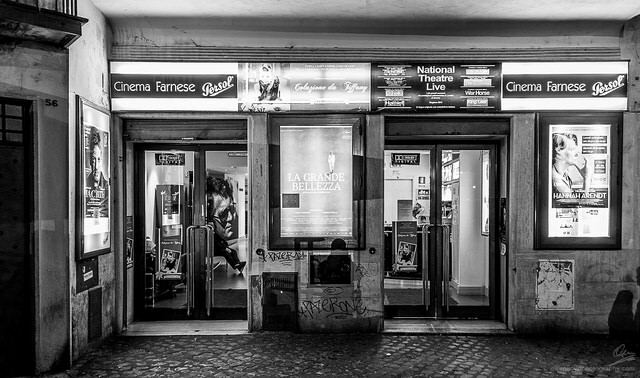 In Campo di Fiori there is also Cinema Farnese, one of the most ancient in Rome. It was already active in the ‘30s when it used to host theatre shows and its name used to be “Cinema Romano” – in English “Roman Cinema”. In the ‘70s it was the meeting point for artists, poets and intellectuals like Pasolini, Moravia and Guttuso – just to mention few of them. It’s definitely a place to keep in mind for tourists and expats as it offers multilingual movies in the heart Rome. 8. There are three streets leading to the square whose names are quite interesting: Via dei Giubbonari, Via dei Cappellari e Via dei Chiavari. These names come from Roman dialect and mean “the jacket makers street”, “the hat makers street” and the “key makers street”. This is because those alleys used to be full of small shops producing and selling those items. 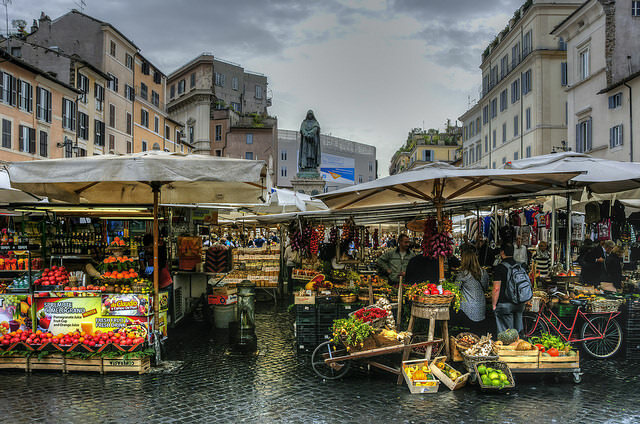 Would you like to know more about the magic Campo di Fiori square and its open air market? 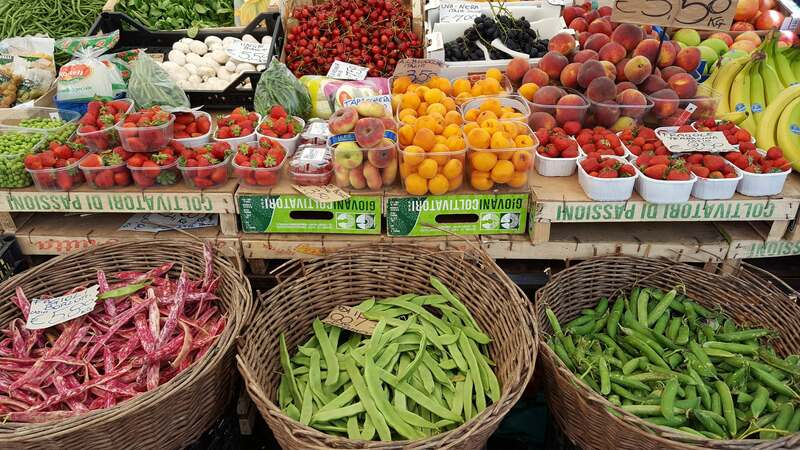 Come and join our Italian full course with market shopping. Our English speaking chef will bring you to buy fresh ingredients at the market and back to our school in a 17th century palace behind Piazza Navona to learn how to prepare a full Italian meal: first course, second course, side dish and dessert. The class can be customized to your preferences.